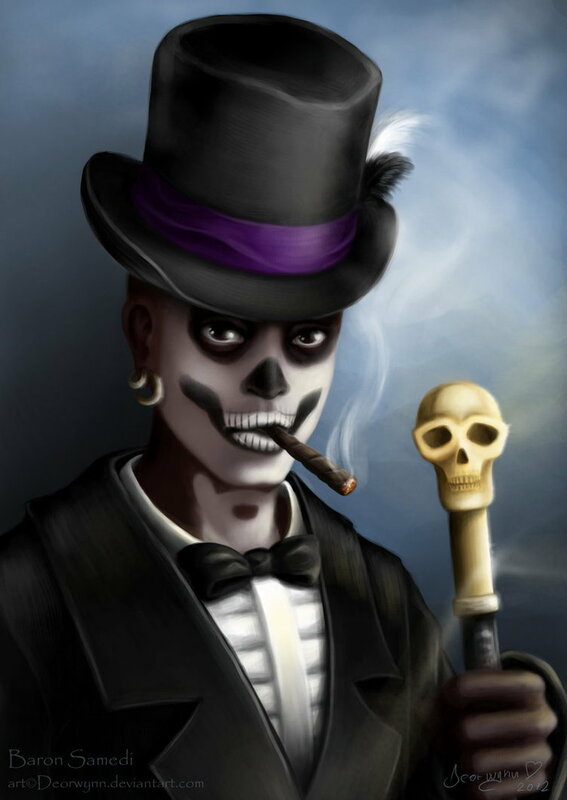 Hello Living souls, this is the king of the graveyard, suave man of death and the party spirit of New Orleans, the Baron Samedi. I’m rolling in on this turning of the season to see how you are living life. Why would a servant of death be asking about living life you ask? You experience death all the time but your fear only sees the end. I think it’s time we talk about life and death so you start living your life to the fullest each day. What is life? A series of experiences that shape your thoughts, personality and future happenings. Well that’s a mouth full. What I’m getting at is life is happening all the time, it shapes you into who you are and will set you up for what’s next. It’s a flow from one thing to the next. Always changing and always creating something new for you to do. So where does death fit into this pretty picture you ask? Death is the pause, the transition from one event to the next. Death is change. Without change you would be stuck doing the same thing forever. Forever 16? Forever changing a tire? Forever stuck in a bad job? Not what you had in mind? It’s time to embrace change and let life bring you the next event! These little deaths allow life to flow in. When you make the big changes in life you get all nervous, breathe fast and emotions fly. Death makes life vivid, important and you become fully aware of how you fit into this world. When death changes your surroundings you see how the job, relationship or home shaped you by ending that time. Death also shows you how people, pets and places hold a place in your heart when they leave the living and join me here in Spirit. You may feel death and change takes things away from you, but it actually brings you closer to life cause you can see how it shaped you. Life flows from beginning to end, one event to the next. What a crazy ride! Death is beautiful! Stop fearing the ending and get busy liv’n. Trust that each change will bring only more living, more amazing experiences and when you feel done you can welcome change to start something new. Death will come to you, and all you love, but it’s just a door to more living. Your loved ones and pets are waiting over here for the big party when you arrive and they are waiting to hear all the stories on how you celebrated life. So stop moping and make some great stories to share. Live life to the best everyday, know change will create something new and tell fear to take a break case death is on your side.